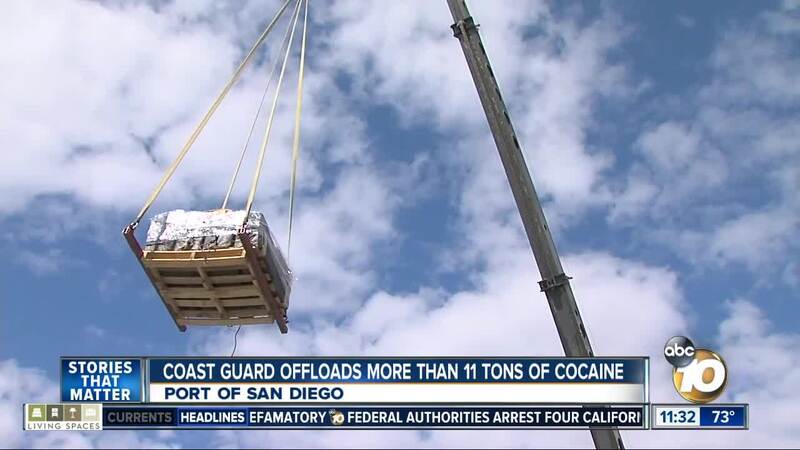 SAN DIEGO (KGTV) - The U.S. Coast Guard unloaded more than 11 tons of cocaine in San Diego Wednesday that were seized from suspected drug smugglers during a summer operation. 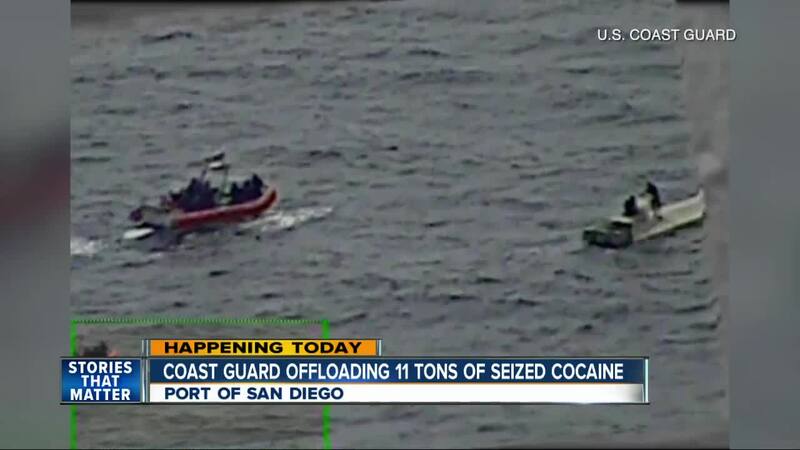 Coast Guard officials said the 22,000 pounds of drugs -- with an estimated street value of over $300 million -- were confiscated from eight suspected drug smuggling boats in the waters off Mexico, Central America and South America. The operation in international waters, which lasted from late August to mid-September, also resulted in the detention of several suspected smugglers. The Coast Guard cutters Stratton, Seneca and Active were involved in the operation, officials said. Capt. Craig J. Wieschhorster, commanding officer of the Stratton, said, “This offload reflects the outstanding efforts of the Coast Guard and our partner agencies to disrupt and dismantle transnational criminal organizations. These interdiction results take hundreds of millions of dollars away from these criminal networks that work to undermine the rule of law in South and Central America which increases migration pressures on the U.S. southern border. Keeping this product off the streets of America saves lives, and I am very proud of the efforts of my crew." The drugs were dropped off at the Tenth Avenue Marine Terminal on Wednesday morning.